When it comes to thrilling entertainment and connecting to our favorite internet personalities, YouTube is second to none. Over the years, the online media service has evolved into an entertainment hub, with premium content, the ad-free experience, and background playback added through YouTube Red. If you love YouTube as much as we do, but don’t find it worth paying the extra for premium features, there is an option for Android users. 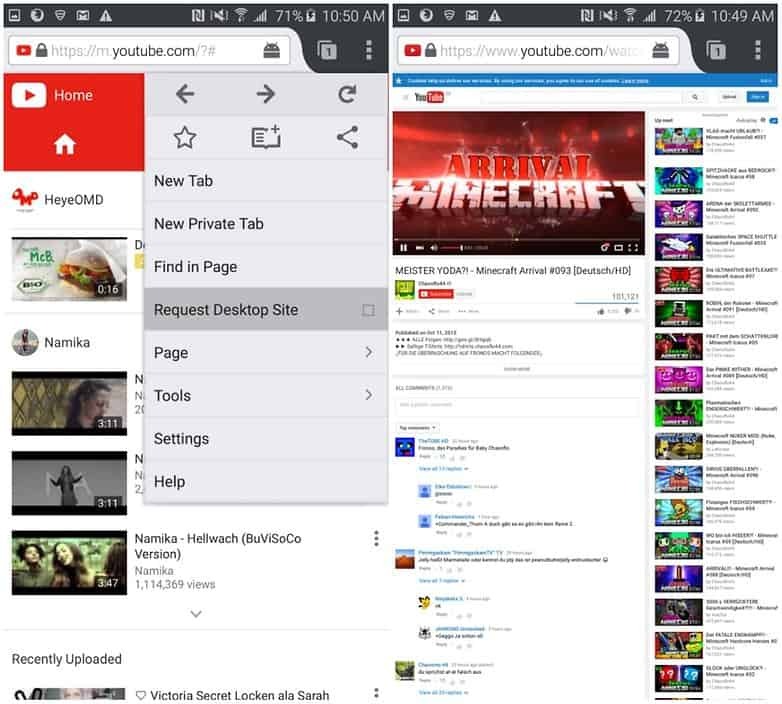 Believe it or not, Firefox browser for Android is the app that allows you to play YouTube video in the background. Start off by downloading the Firefox browser for Android app from the Google Play Store. Unlike other services and apps we have discussed earlier, this YouTube tweak requires no additional permissions or root access to work. Once the app is installed, launch it and head over to YouTube using the browser page. Press the three-dot menu icon on the top-right corner of the screen and select “Request Desktop Site” from the drop-down menu bar. The YouTube website will be loaded as desktop site version, from when you can use the YouTube website to enter the video you want to play in the background. With the video playing, you can simply hit the back button and exit the app, while the audio of the video playing on YouTube will continue to play. You can even go ahead and turn off the screen while the audio will continue to play in the background. Does this method play YouTube video in background work on your Android device? Share your thoughts about it in the comments section down below.